The candidates can either apply online or download the application form online from the official website. They can even obtain the application form and prospectus form the admission office of the college. They can pay the application fee of Rs.1000/- online or through Demand Draft. Standard X and Standard XII mark sheet. The candidates can fill the application form or download it from the official website. They can do the payment of the application form either online or offline through DD. The admission of the candidates will be based on marks obtained in the entrance exams organized by the College. The candidates will have to appear for the Personal Interview. The selection of the candidates will be based on the overall performance. The candidates must have completed 10+2 examination with Physics and Mathematics as compulsory subjects along with one of the following Chemistry / Biotechnology / Biology / Technical Vocational subject in order to apply at Alliance School of Business admissions 2019. He/She must have obtained 45% marks in the examinations (40% marks in case of the candidates belonging to the reserved category) in the above subjects taken together. They should have written at least one of the following Entrance Exams: JEE (Main), JEE (Advanced), Karnataka CET, COMED-K, Alliance University Engineering Entrance Test (AUEET), or any other State Level Engineering Entrance Examinations. The candidates must have a Bachelor’s degree with a minimum of 50% marks (45% marks for SC/ST) in any discipline from a recognized institution. The College will accept GMAT/CAT/NMAT/XAT/MAT/CMAT/KMAT/AMAT marks and the candidates are required to take one of the entrance exams. They should have completed education from Pre-University/Higher Secondary/10+2 Examinations or equivalent from any recognized Board or Council in any discipline with aggregate marks. He/She must have completed Higher Secondary/10+2 education or equivalent examination from any recognized Board or Council with aggregate marks in any discipline. He/She should have secured high score in GMAT/CAT/XAT/MAT/ATMA/CMAT/NMAT by GMAC/AMAT. They should have completed Graduation (or equivalent) from a recognized University with aggregate marks. Candidates who have a minimum of two years full-time work experience are eligible for the course. The eligibility criteria for admissions is: Bachelor's degree with a minimum of 50% marks (45% for SC/ST) in aggregate from a recognized University. Admission to the Master of Business Administration (MBA) course at the Alliance School of Business, Alliance University is strictly based on merit. Admission Procedure:Alliance Management Aptitude Test (AMAT),Essay Writing, Oral Extempore Presentation,Personal Interview. The eligibility criteria were more than 60% marks in class 12th. And for the selection process, there was an entrance exam. Which included quantitative aptitude, verbal ability, logical reasoning and general knowledge questions. After I cleared the entrance test, I was called for a personal interview. And was selected on the basis of results of both. 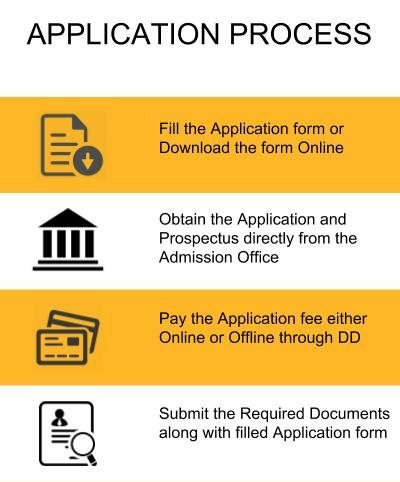 Alliance has a selection process of its own, for which you can register by visiting our college website www.alliance.edu.in and fill the application for the course you are looking for. The typical cutoffs for the BCom(hons) course are 85% to 90% in class 12. Admission process involved an entrance exam followed by a one on one interview with a senior faculty from the institution. The entrance exam was a multiple choice question format, the interview was with regards to my previous years of education and general interest in this particular BBA Course at Alliance University. AUMAT is the entrance exam. Candidates must have pre-university/higher secondary/10+2 examinations or equivalent from any recognized board or council in any discipline. Candidates are required to appear for the admission selection process comprised of AUMAT (Alliance Undergraduate Management Aptitude Test) and Personal interview. The eligibility criteria were to have an aggregate score of 50% in the +2 level of studies in any of the recognized education boards. Along with this clearing, the AUMAT exam conducted by the university was also required. A personal interview too was conducted to make the final selection of candidates. Firstly, you have to clear your entrance with a aptitude, reasoning, and general knowledge. Secondly, if cleared the above then you have to face an interview with 2 or 3 people panel. And they use to consider Aima results and many others. If passed with 60 above percentile then only. The eligibility criteria depend on your past academic records. The entrance test taken is on your basic knowledge about the core subjects(maths, science). There's no particular cutoff, but a percentage of 65% or above would be preferred. Eligibility criteria were 60% in 10th and 65% In 12th, written exam and interview are the admission procedure. No, I didn’t give any entrance exams. Eligibility criteria are the 12th class completion. Admission procedure is, interview and a written exam. I didn't write any entrance exams. The college itself conducted a written exam. 60% above is the cutoff for the course. The Elgibility criteria is you have to pass 12th standard with 60% or above. The Entrance exam in Alliance university is AUMAT (Alliance University Management Aptitude Test) and also a personal interview will be there. There will be a entrance exam for freshers, then only 25 people were selected in a group of 80 students. The passing marks for entrance exam was 35. The selected students will be having a interview of 15 min. The cutoff for admission eligibility was 60% in the 12th boards. The admission is done after a series of exams and interview conducted by the university. Exams like AUMAT and other interviews were conducted. An entrance test was conducted, followed by personal interviews for each student. I took the exam and attended the interview as well. The typical cutoff for BBA entries in ASB is around 80%, to my knowledge. Candidates have to go through the selection written test and interview round conducted by Alliance.You should have scored minimum 55% on your 10+2. AUMAT is examination which is taken in Alliance. The eligibility criteria is quiet simple. You have to pass 12th standard with an average of 60% and then there is an Alliance entrance test AUMAT which you have to take and also a personal interview. The college conducted a two-stage selection process. The first stage is the entrance test and the second stage being the personal interview. Both are conducted on the same day in the campus itself. A student should have a minimum of 60% marks in his/her academics. One also has to write AUMAT entrance exams which are followed by an interview. Cut-off generally ranges to 50 from total marks. The candidate must clear the AUMAT exam and must have passed the 12th from a recognized institute. Minimum 6% cutoff mark is required. The candidate must also face personal interview. Eligibility criteria will be 75% & AU entrance exams will be there and personal interview. AU exams are taken for entrance. The cutoffs of my course were 65%. The eligibility criteria of Alliance University is 70% AU MAT And we had to go through written test and interview after getting selected in both separately we are admitted in collage. The candidate must clear the AUMAT exam and must have passed the 12th from a recognized institute. Minimum 60% cutoff mark is required. Also must face a personal interview. A student should have a minimum of 45% marks in his/her 12th Board. There was entrance exam which is basically based on general knowledge topics. College doesn't issue any cut-offs. The eligibility criteria are 75% with the attendance. AUE alliance university exam for the entrance exam. The cutoff - 75% before taking the admission. 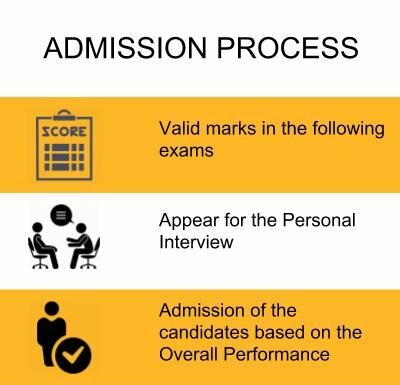 The eligibility criteria were 60% plus in 12th standard, The entrance test called AUMAT(Alliance University Management Aptitude Test) and also a personal interview is conducted. Eligibility criteria are 60% and an entrance exam AUMAT is mandatory. AUMAT (Alliance university management aptitude test) is mandatory. Also, a personal interview is conducted. 70% was the cutoff of our college. It takes in candidates with an entrance exam followed by an interview. AUMAT- Alliance University Entrance Exam 70-75% is the general cutoff. The candidate must have passed the 10+2 from a recognized institute. The candidate must clear the written test conducted by the university and must face the personal interview. The person should qualify in his 12th with a minimum percentage of 60. I opted for offline exam held at Hyderabad. The cutoff is 50 to 60 percent. AUMAT is the entrance exams. The eligibility criteria of the Alliance university is 60%. Generally we have an entrance exam called AUMAT. We have to go through the written test and personal interview. To have admission to this college one should have a minimum of 60% marks in 12th Boards and has to clear AUMAT ( Alliance entrance exam) and interview as well. Eligibility criteria according to the website it's 60% in 12th but we all know half of the college runs on donation.There were a personal interview and a written exam. One should have 50% of marks on his/her 12th Board. Students have to write an entrance exam, which is conducted by Alliance itself followed by an interview. The admission criteria includes an entrance examination followed by Personal Interview. AUMAT is the entrance exam here. The student eligibility in 70 to 80 % in PUC. Eligibility criteria are 50% in 10th and 12th and admission process was an aptitude test AUMAT and personal interview. Overall it was the good process for admission. The admissions criteria is simple you have to apply for admission in college and write AUMAT exam then personal interview for 15 min. You have to get at score 50%. 60% of boards was eligibility criteria for admission. AUMAT is the entrance examination. I gave the exam and scored 60% & above are cutoffs for the course. The candidate must have passed the 12th with minimum of 75% marks from a recognized institute. No entrance exam is conducted. Minimum 75% cutoff mark is required. Well, it was 70 percentile cut off for CAT to get through Alliance University. I took CAT & MAT exams. Cut off varies from colleges to colleges. Eligibility criteria 50% in the 12th standard Entrance exam. General aptitude test and interview. Typically cutoff for my course across India is 50-55% in 12th. Anyone who has passed his/her 12th Board is eligible to write the entrance exam. Alliance took his own exam. Cut-offs vary from 80% to 90% of the total marks. The student must pass the 12th-grade or any equivalent exam with good percentage. AUMAT is the entrance exam to get the admission in this college. The candidate must clear the AUMAT exam and must be a graduate in any degree from a recognized institute. The candidate must face an personal interview. The candidate must clear the AUMAT 2018 exam and must have passed the 12th from a recognized institute. Minimum 60% cutoff mark is required. The eligibility is 50% aggregate in +2 and there was a written test and a personal interview with that and the eligibility students lists were out. The University has its own entrance examination called AMAT. This test has Four section – 1, 2, 3 and 4. Time allowed – 60 min. The eligibility criteria were 50% and admission procedure was Entrance exam AUMAT and Personal interview. The typical cutoff is 75% for the course. The candidate must have passed the 12th from a recognized institute. No entrance exam is conducted.The candidate must face an personal interview. The candidate must clear the AUMAT exam and must have passed the 12th from a recognized institute. Minimum 60% cutoff mark is required. You need to fill form either online or offline (provided in the campus). There is an entrance exam and personal interview to get admission here. According to the website, you have to get an aggregate of 50% in 12th. There is a university entrance exam followed by an interview. The eligibility criteria of the Alliance university is around 75%. We have to appear for the written test and then for personal interview. The candidate must clear the AUMAT exam and must have passed the 12th from a recognized institute. Minimum 50% cutoff mark is required. The candidate must clear the AUMAT exam and must have passed the 12th from a recognized institute. Minimum 70% cutoff mark is required. The candidate must clear the AUMAT exam and must have passed the 12th from a recognized institute. Minimum 75% cutoff mark is required. The student must pass the 12th-grade with good percentage and AUMAT is the entrance exam to get the admission in this college. The eligibility criteria are the individual should be 12 passed out and should score 85% in 12th and entrance exams will be conducted. It is conducted in different cities. The test has different objective questions, covered general questions, followed by an interview. One should have a minimum of 50% of marks in his/her 12th Board. The Alliance University itself conducts its entrance exams. Multiple choice questions are asked. And all those who passed this exam were forwarded for the interview session. We need to pass written exams if we clear it we need to attend round for personal interview. College entrance exams AUMAT. One should have a minimum of 60% in PU level and there are no cutoffs actually but we have an alliance entrance test and interview. The student must pass 12th-grade with good percentage. AUMAT is the entrance exam to get the admission in this college. The eligibility criteria are 80% in 12th.The infrastructure is good. The university is not so good. Please don't join this college for God's sake. That will the worst nightmare you can ever have. The eligibility criteria for our course is 75%. The entrance exam we gave is AUMAT. The typical cutoffs of our course is 75%. 60% in class 12 and procedure is to clear AUMAT. Alliance university management aptitude test (AUMAT). Graduates from any degree B.Tech M.Tech degree in electronics computers AMAT, CAT, Don't know Maybe depends on talent. The eligibility criteria was 60% and we have to clear AU EXAM then personal interview takes place. The cut off was 60%. Eligibility criteria were 60% and above in boards, and the admission process was the test of Alliance conducted AUMAT. Apply for AUMAT, Personal Interview and need to be good in talking skills. Need to write a personal entrance exam too. The eligibility criteria are 60% for Alliance School of Busines and students have to crack AUMAT to get a seat in BBA. Eligibility criteria is a pass in 12th and 10th. College entrance exam, AUMAT is considered for admission. One written test conducted by the University and a Personal interview. It also gives seat based on the CAT score. 70% and above in class 12th exam and 50% cut off for BBA in alliance business school. AUMAT is the entrance exam. The Eligibility is to pass the class in 12th. The entrance exam is of alliance University AUMAT. Cut off is 60%. Eligibility criteria were 60% above. Online fill an application come to the college and write the entrance exam. 60 percent in schooling and the basic interview was conducted with examination and evaluated based on skills. The eligibility criteria is 65% for BBA. There is no entrance examination. Overall the college is very good. The eligibility criteria is to score 75% of marks in 12th. There will be personal interview for 15 minutes. I appeared for UGAT exam. Its an aptitude Test concuted by AIMA. 60 colleges take part in UGAT. The candidate must face an personal interview and must clear the entrance exam conducted by this college. 12 passed out with 75 percent marks with an entrance exam of basic questions is the admission procedure. Skype interview where I was asked three questions on the topics of Accounting, Economics and Management. Have been facing a lot of problems because of present scenario, which is resulting in lack of education. Entrance exam and interview process for all stream with pass AUMAT entrance test and 60% is the cutoff. The eligibility criteria are 70% and the entrance examination was AUMAT. And 80% for typical cutoffs. Eligibility criteria were 70% for BBA interview and written test. 75% was the cutoffs for my course. 12th Certificate is a must. AUMAT is Alliance School of Business internal test. No cut off as such. I took AMAT which college has conducted. You shall have to score 60+ to be eligible for admission. Should be a graduate from a reputed university 85 percentage in CAT 50 percentage of your degree. There were an entrance exam and a personal interview taken at college. Cut off is not mentioned. We had to go through a written test and a personal interview to get admitted into this college. Wrote AUMATand got admission to Alliance university for BBA. And faced a personal interview. The eligibility criteria were 60%. AU exam is mandatory for selection. The cutoff was 60%. The cutoff for the course should be 65-75%. There is no entrance examination. Alliance University has conducted an exam for us and we have to qualify for the exam. Just pay the money that is enough for them. You should have a basic bachelor degree. 10+2 is the eligibility, the procedure is attended exam, interview and selection. Firstly we should complete our 10+2 and Alliance University Entrance Test AUMAT. AUMAT includes with essay writing, extempore, logical test, Personal Interview. It's a fine University with proper faculties and expertise education facility. Eligibility criteria for our college are 50%, typical cutoffs are 90% or more. The eligibility criteria are 60% marks in 12th. There are no entrance exams. The candidate must clear the AUMAT exam and must face a Personal Interview. It has a very good entrance exam, They build an entrepreneur in university. The eligibility criteria are 75% score in 11 & 12. To have admission in Alliance one has to clear AUMAT entrance exam. You can get admission through other entrance exams like CAT, NMAT. You need to give entrance exam of this college AUMAT. The eligibility criteria are 12th pass with 60%. The eligibility criteria was 75% in 12th. AUMAT is the entrance exam. What is the fee Structure of Alliance School of Business, Bangalore for BBA course? What's the fee structure for B.Com (Hons) in Alliance School of Business, Bangalore? The fee structure for B.Com (Hons) in Alliance School of Business, Bangalore is given below.